Google algorithms dominate the search engine optimization (SEO) industry. 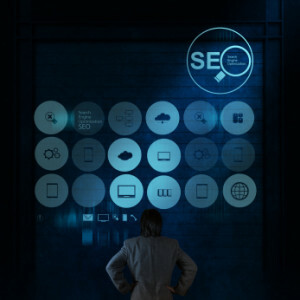 Every time Google roll out a new update, many online businesses as well as those who rely on the Internet for business opportunities including SEOs scramble to incorporate changes to their effort. This cycle needs to be broken in order to achieve business success. Here is one strategy you can implement to get ahead of Google; rely less on keyword search. It’s a tall order but you can do it. Many of us emphasize on keyword search. Most of the data and research available also based on keyword search. Reliance on keyword search consumes too much of valuable time of SEOs and become harder every day since Google control keyword data. Instead of trying to master Google keyword process, why not develop your own keyword set? After all you are the best expert in your field of business and you have a ready vocabulary that explains your business better than anybody. You can start to build content around these. Once you develop your own set of keywords back test your data against available resources. This will help you to break the reliance on Google keyword search. When looking for keywords and using keyword research tools, you will find the most searched keywords are also the ones that are the most competitive. If you have a new site or very few links, there is no way you would rank for competitive keywords. Instead, focus on long tail keywords that get less traffic and are less competitive.